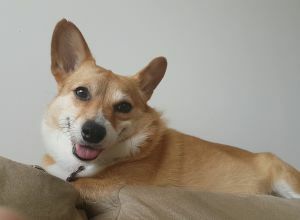 Abii | Pembroke Welsh Corgi in New Westminster. Hi im Abi! Im 5 years old, I'm a little nervous when I first meet people but once I get to know you I won't leave your side. I love getting pets and all the attention in the world.